Instagram recently unveiled new action buttons, making it easier for the social media platform’s 800 million users to book hotel rooms and other travel reservations through the app. With the new features, users can now book, get tickets, reserve or start order without having to leave the app. The photo-sharing app has been a source of travel inspiration since its inception and this move is set to close the gap between liking a photo and actually transporting the user to the destination. With the recent direct-booking push made by hotels, this could actually assist in that drive if brands and more importantly, hotels, are actively using, promoting and managing their Instagram accounts. Business accounts will be able to add an action button (either reserve, get tickets, start order or book) to their profile page, taking users one click away to a booking page without leaving the app platform. Instagram said it will soon release a new series of in-product tutorials to guide business on the best practices to use the service to connect with customers. 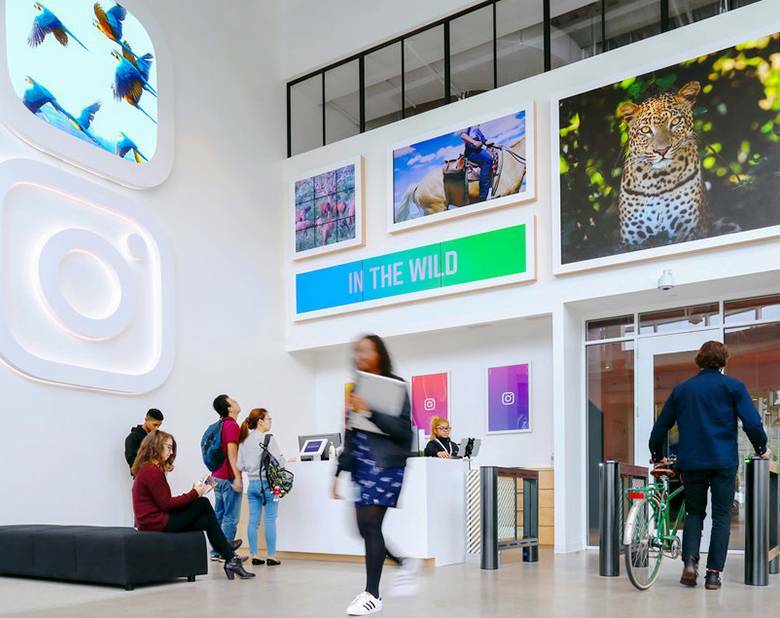 In its statement introducing the changes, Instagram said more than 200 million daily active Instagram users visit a business profile each day. More details on how to add action buttons can be found on the company's support page. Travel companies make up some of the most popular pages on Instagram, reports The Telegraph. Booking.com has 553,000 followers while TripAdvisor has 1.4 million followers. Images of destinations, hotels or restaurants frequently receive tens of thousands of likes. Marriott Hotels' Instagram account has 287,000 followers while Marriott International has 100,000 followers and Marriott Rewards has 269,000. Hilton Hotels & Resorts has 226,000 followers, while IHG's InterContinental brand has 146,000 followers. The company has aligned with a range of partners, including Acuity, Atom Tickets, Booksy, ChowNow, Eatstreet, Eventbrite, Fandango, GrubHub, MyTime, OpenTable, Reserve, Restorando, Resy, SevenRooms, StyleSeat, Tock and Yelp Reservations. Coming soon are Appointy, Genbook, LaFourchette, Mindbody, Schedulicity, SetMore, Shedu and Vagaro, among others. Instagram isn't the first app to try to expand social-media activity to encompass booking activity. Facebook, which bought Instagram in 2012, has offered a booking button for more than a year, and earlier this year Google announced that hotel and flight reservations now can be scheduled directly from a search result on mobile without the user ever having to leave their results list. Search results, Google noted, will include photos of hotels as well as ways to customize for dates and prices. Audience targeting via paid search will offer huge opportunities to reach the right customers who will ultimately book direct, according to a Google VP during a webinar earlier this year. It’s the ability to target people who have previously engaged with your site, said Ed Lines, VP, industry manager at Google. Maybe they are on your (customer-relationship-management) list, a loyal customer or they have been to the booking page. That, plus knowing what device they are on and their frame of mind, can help you refine your marketing tactics. About two years ago, Starwood Hotels & Resorts Worldwide’s Tribute Portfolio brand partnered with shopping platform LiketoKnow.it to let users book a stay by tapping photos on Instagram photos posted by Starwood-paid influencers. Two hotels in Paris, Le Metropolitan and Le Dokhan’s, were being booked this way at the time.